Online Guide to Mediation: Online Guide to Mediation has moved to its new home at MediationChannel.com! 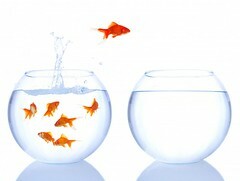 Online Guide to Mediation has moved to its new home at MediationChannel.com! It's official -- Online Guide to Mediation has a new home and a new name -- at Mediation Channel.com. After several months of technical difficulties with Blogger, the blog publishing platform I've relied on for the past three years, I decided it was high time to make the move to my own domain name. I hope of course that you'll make the move right along with me. If you use a newsreader like Bloglines.com to subscribe, click here for the new feed for MediationChannel.com. And if you signed up for automatic email notifications through Feedblitz, I'll be taking care of the changes on this end by editing the Feedblitz settings, so there'll be nothing you'll have to do. While I settle in at my new digs, posting will continue, beginning with my series for the first week of January, "New Year (Dispute) Resolutions", which starts on January 2. Looking forward to seeing you all at the new address. And a very happy new year to everyone!